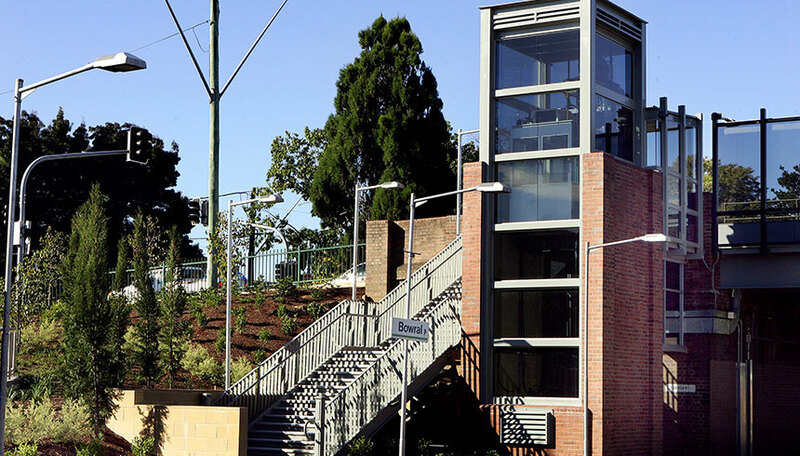 In order to improve access to Bowral Station, new stairs and a lift were required. The Design and Construct project included two new brick and structural steel lift towers with glazed screens and a new steel footbridge with anti-throw screens. Degnan constructed new stairs and completed a heritage refurbishment of the existing stairs. The platform was regraded and new asphalt was laid along with tactile indicators. The redesign also included new accessible toilet facilities, landscaping and an upgraded carpark. To complete the works, Degnan conducted re-roofing and heritage repairs to existing buildings and a power upgrade. Throughout the upgrade, the station remained fully operational with minimal impact on customers and staff using the station.